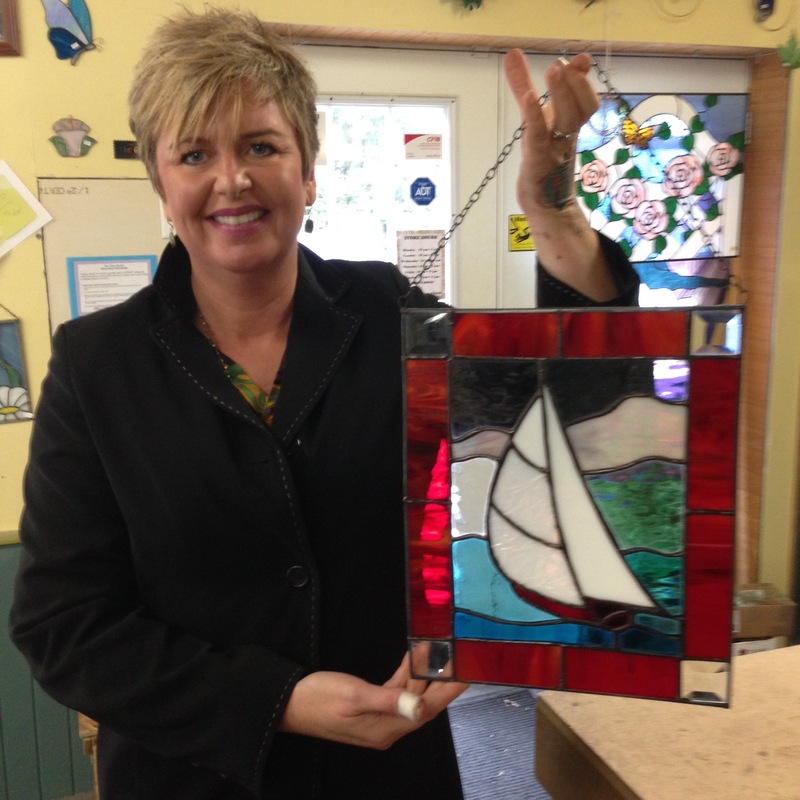 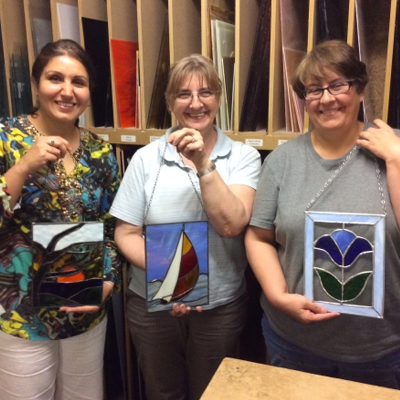 The Beginner Stained Glass course is designed for people who have little or no experience working with stained glass. 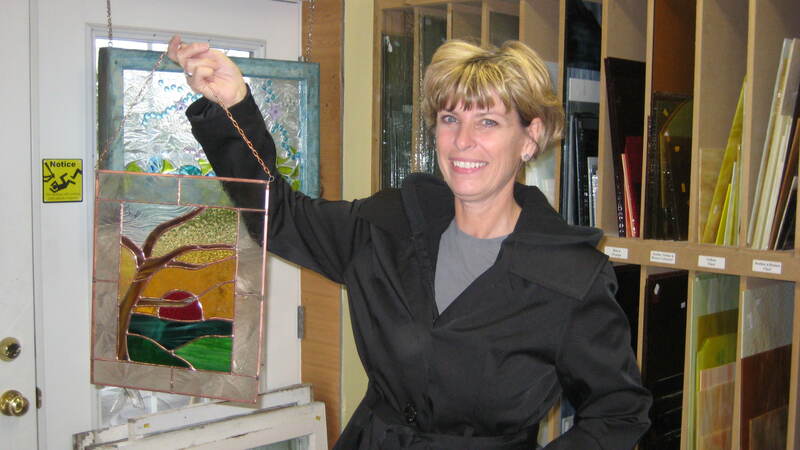 Students will learn how to prepare a pattern, transfer that pattern to glass, cut and grind stained glass, apply copper foil, solder and “finish” their piece. 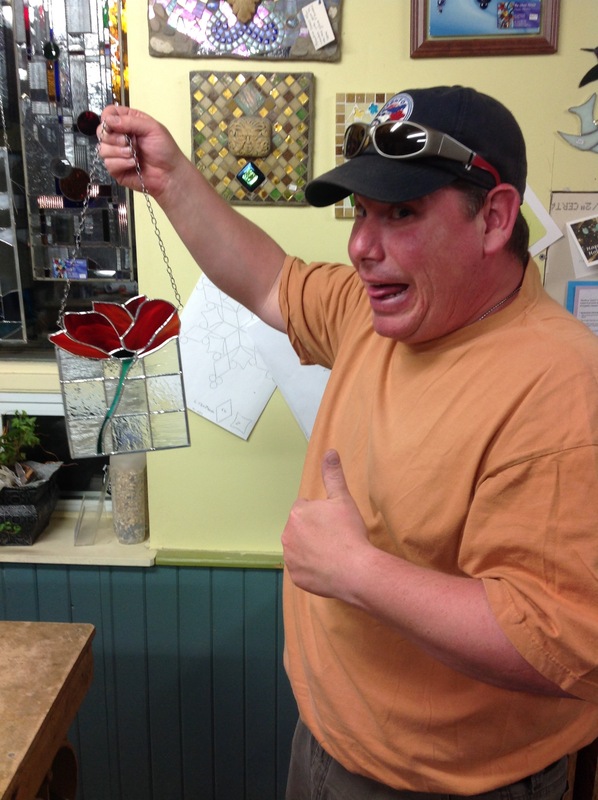 Students will be provided with materials, use of tools and instruction to complete a sun-catcher and an 8″ X 10″ hanging stained glass panel.